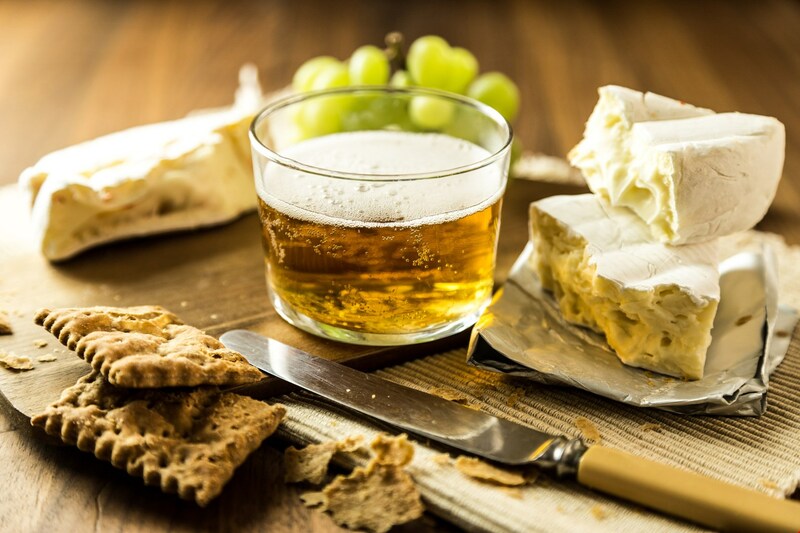 Beer goes surprisingly well with cheese – better, sometimes, than wine, according to many. Beer’s freshness, carbonation and complex taste notes make it perfect for serving with a cheese platter. Beer and cheese? What’s that all about? Like most people, you may think that cheese should only be served with red wine. Or perhaps you’ve heard the experts singing the praises of white wine as the best accompaniment to cheese, because its crisp sweetness brings out the flavors. Beer has a highly complex taste and refreshing carbonation. The carbonation works especially well with cheese as it cuts through the density and richness of most cheeses. Many beers also have a sweet, slightly caramelized taste that goes very well with somewhat heavier and riper cheeses. When you begin exploring the pairing of beer with cheese, a world of experiences awaits. And surprises as well. So experiment and find out what suits your personal tastes. Do you like the cheese and beer to taste similar? Or do you prefer divergent flavors that complement each other? Both can be quite delicious. Mild cheeses go well with mild beers. A beer should never stifle the cheese with alcohol, strong flavors or a lot of hops. Sharp blue cheeses can handle a heavy black stout, which can otherwise easily smother other flavors. Heavy, fruity beers also go well with blue cheeses. Hoppy beers tend to take the edge off blue cheese and bring out their floral notes and acidity. Serve a hoppy lager or India Pale Ale paired with blue cheese – and experience the floral notes as they unfold. Or try a sharp cheddar with a hoppy lager, which highlights the acidity in the cheese. The right hops can also bring out flavors in a creamy blue cheese reminiscent of elderflower. Soft cheeses, like brie or other Double Crème cheeses, will bring out the caramel notes in a pale lager. And in aged cheeses – both hard cheeses and semi-soft cheeses – a classic pale lager really brings out the caramel notes and the sharpness. So even if you don’t have time to stop by the craft beer shop with all their experimental imported beers, there’s no need panic. A good beer from the grocery store will also go well with your cheese selection. 2. Then notice what happens when you taste the cheese and beer together. Take a small bite of cheese. Smell it, too. Notice all the flavors. And smell the beer before sipping it. How do the tastes combine? Do they harmonize or challenge each other? Do you taste anything new, which neither the cheese nor the beer had on their own? 3. Try different combinations, if there are several beers to choose from. 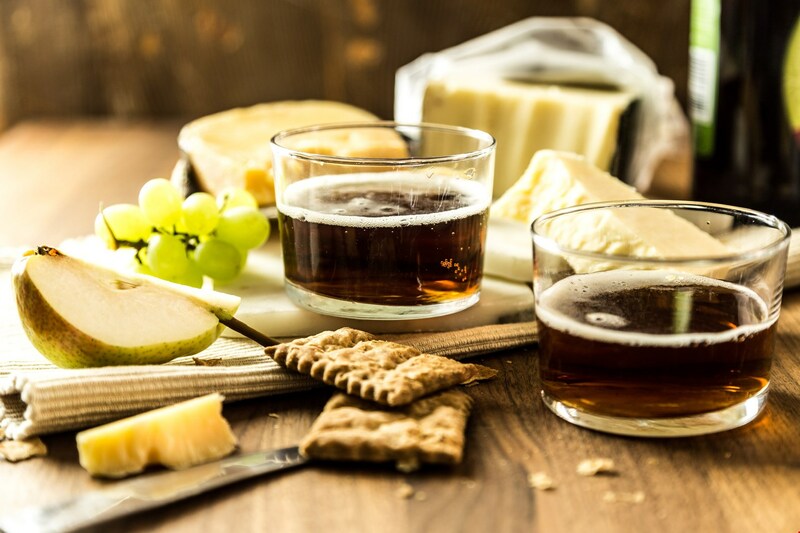 Which beer do you think goes best with your cheeses? What do your guests think? Does everyone agree? If not, then there’s a good basis for an interesting and entertaining discussion. 4. And now, just lean back, enjoy and have fun. Because that’s what beer and cheese is all about. They create a lovely, relaxed atmosphere – not to mention fantastic taste sensations.